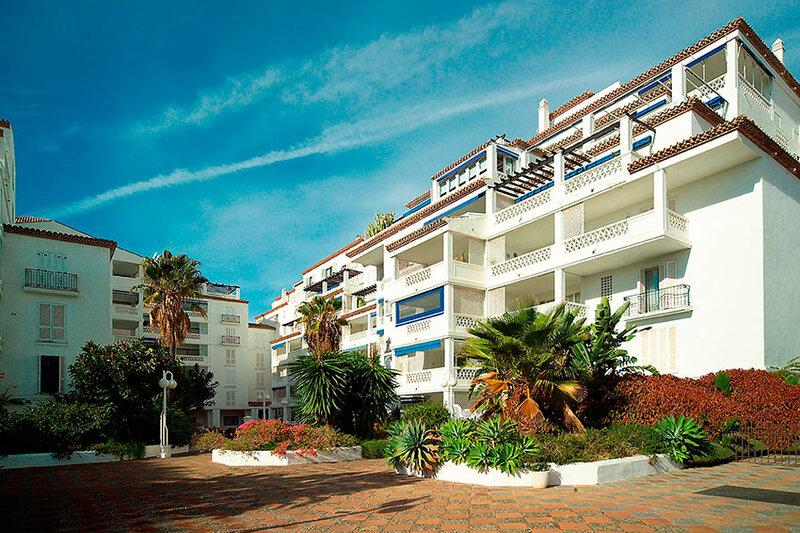 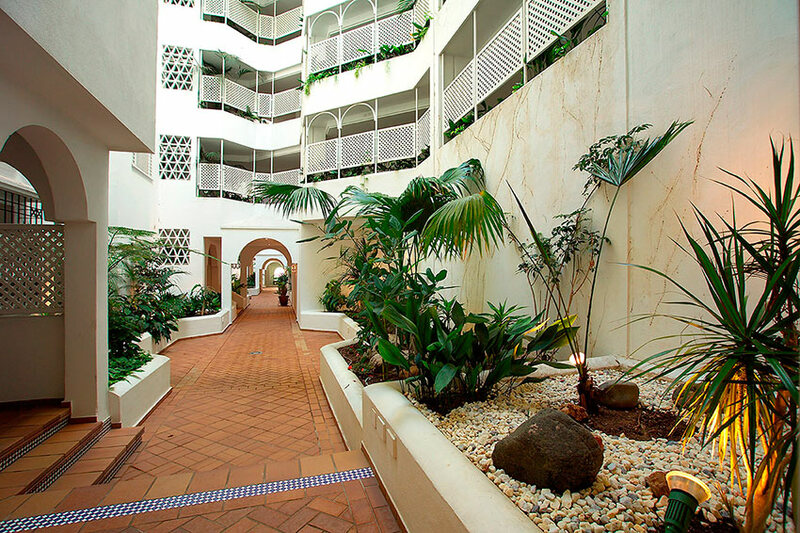 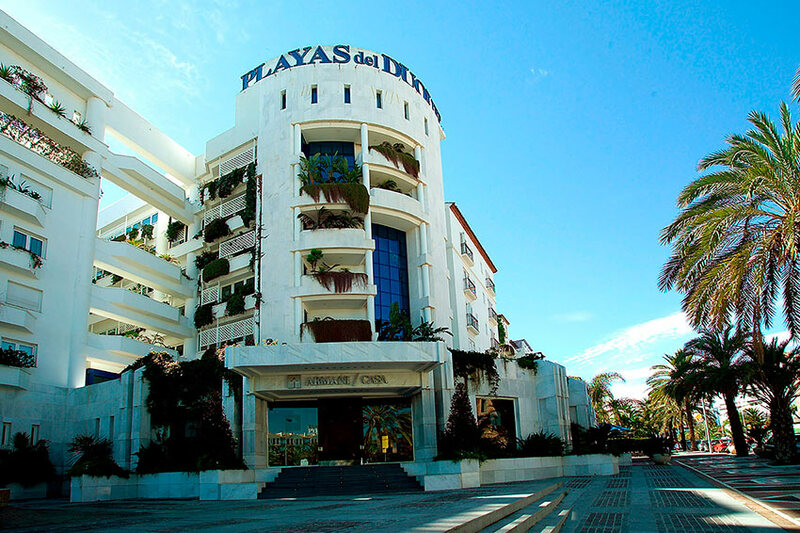 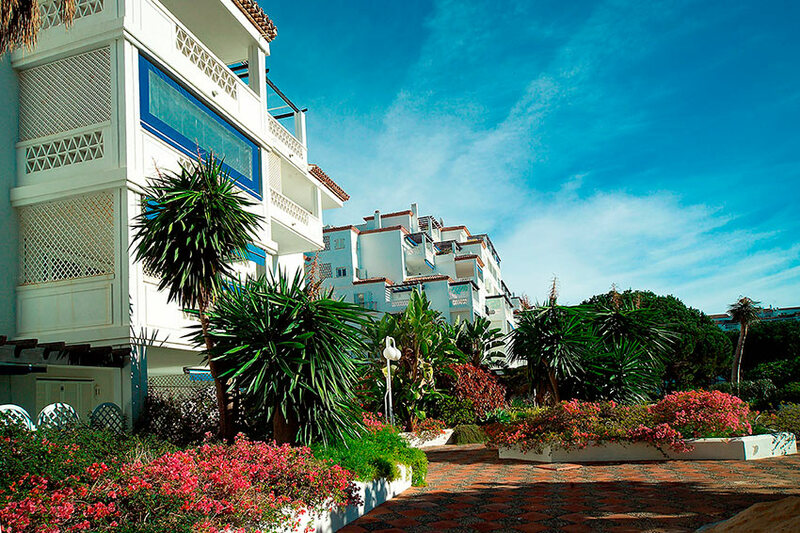 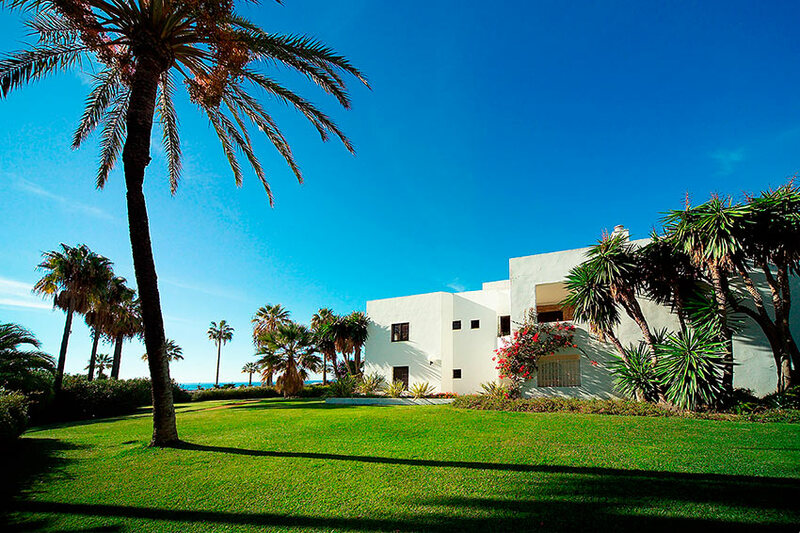 Playas del Duque Complex arose at the start of the 80s framed within the new trend of traditional Andalusian vernacular architecture, which came about in response to the narrow Modern Movement. 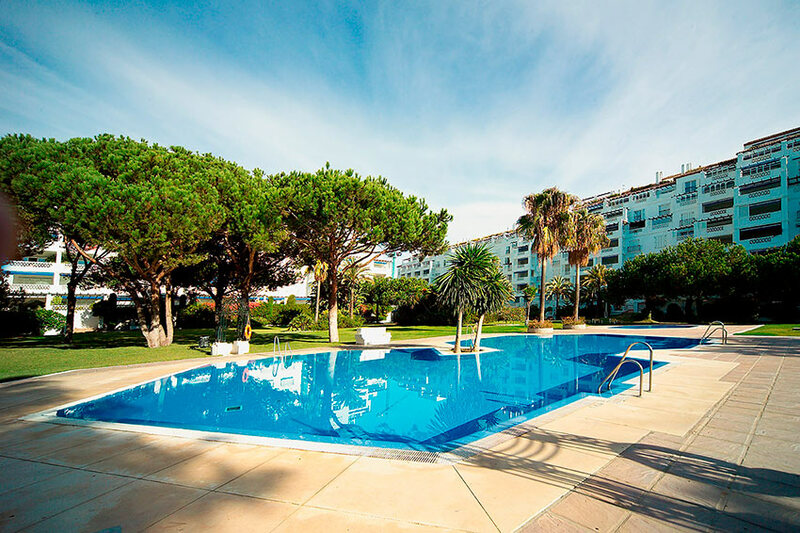 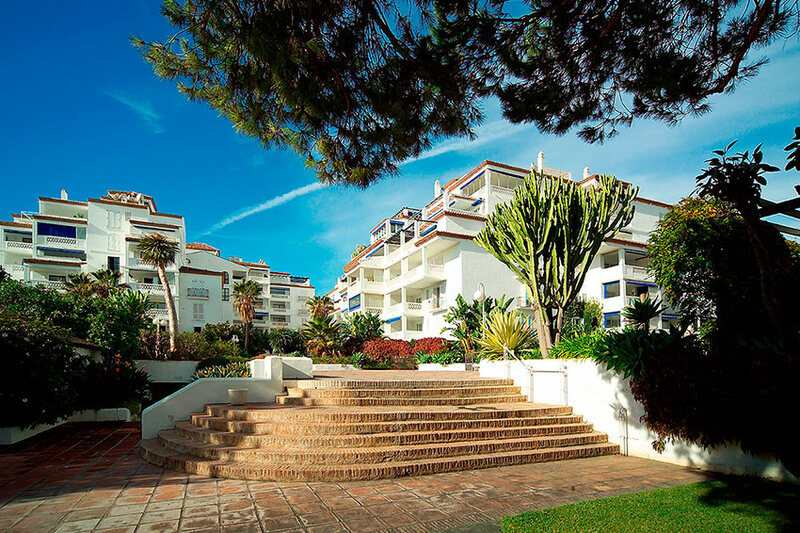 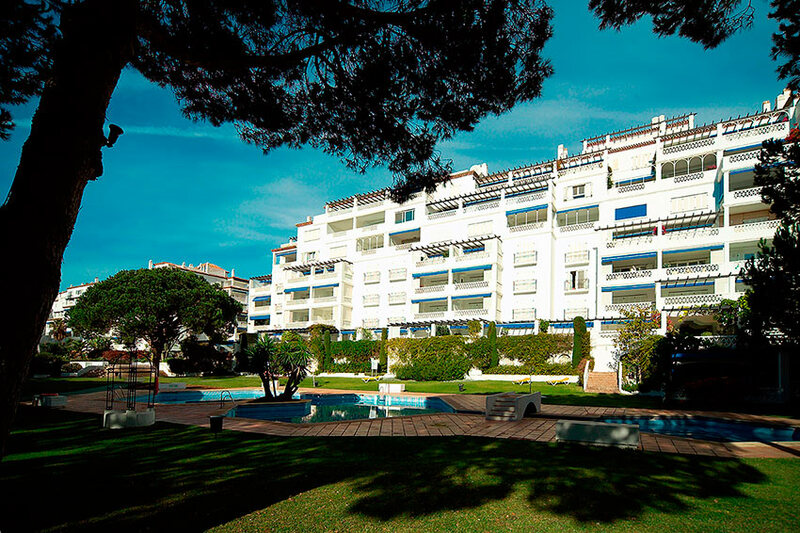 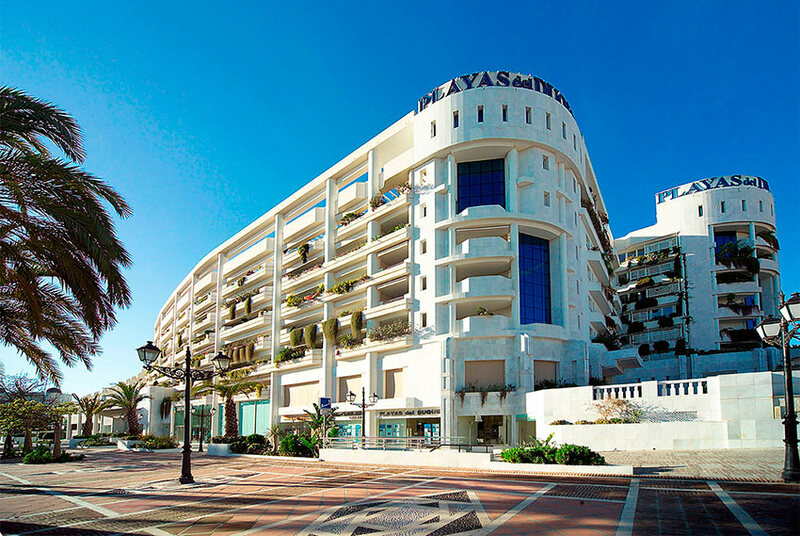 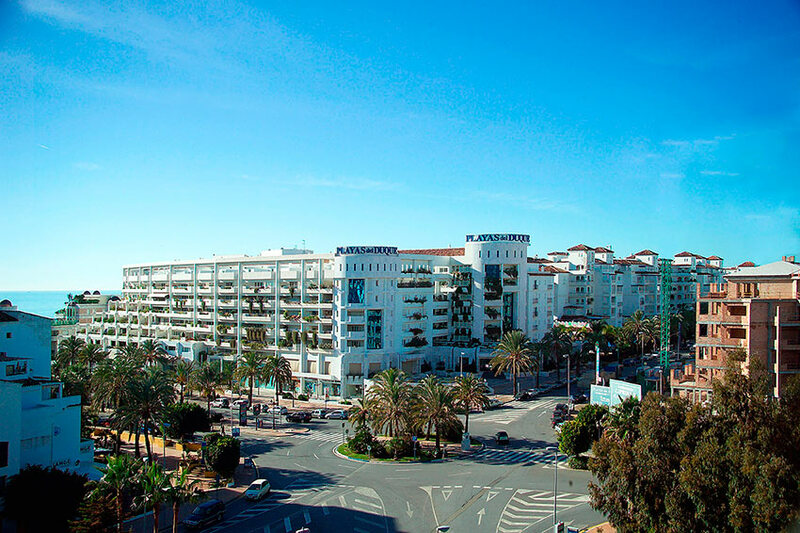 The success of Puerto Banús and Puente Romano in Marbella was easy to point out and our office developed part of the first one, houses R to Z of this building complex. 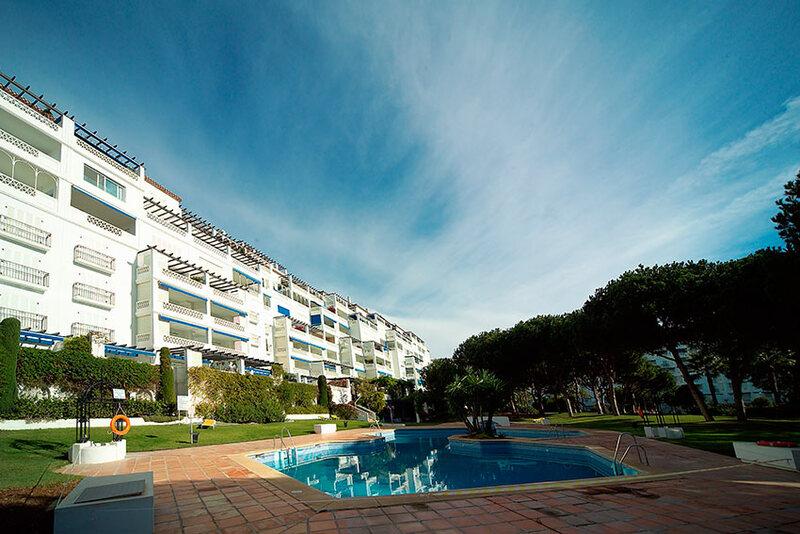 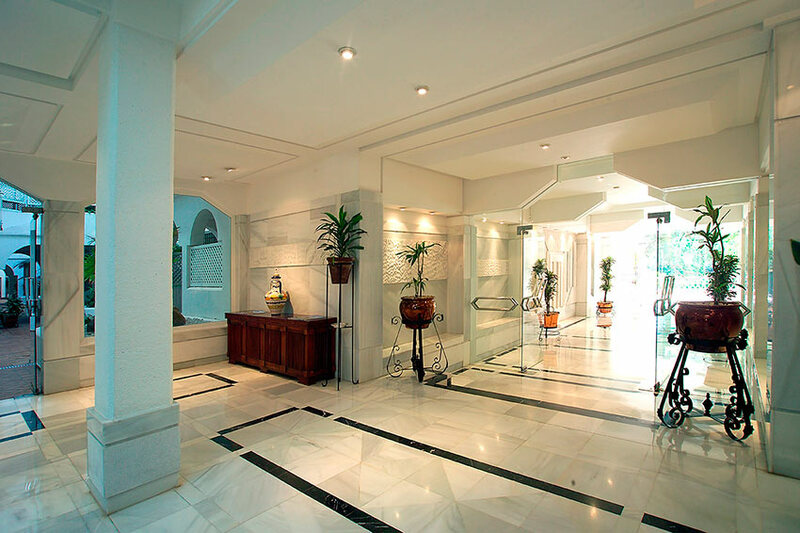 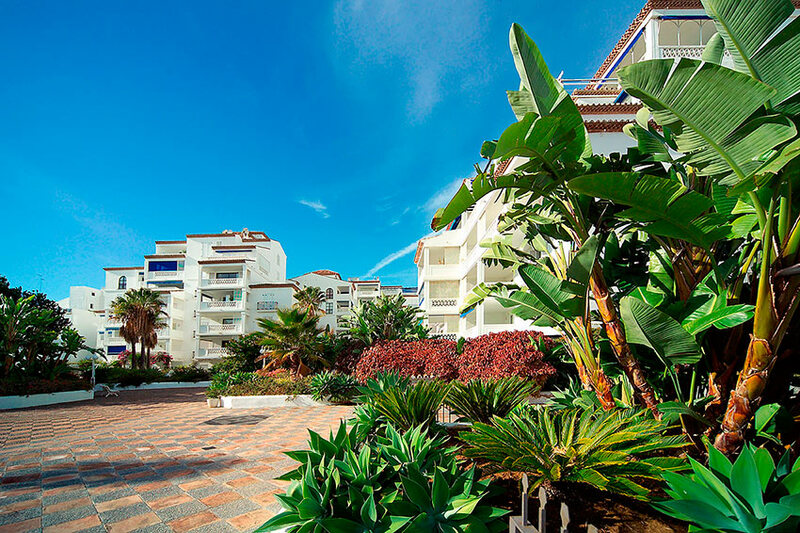 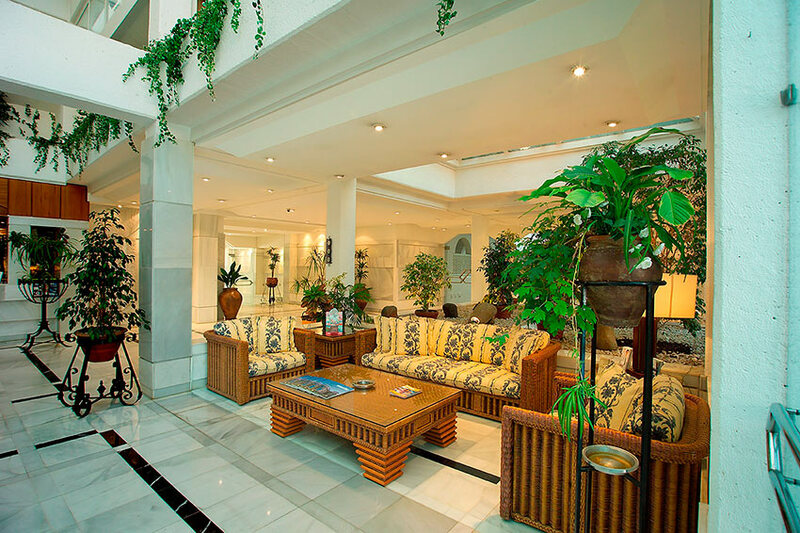 After that, and the development of the social club, currently the Ocean Club, the planning of the complex of the entire central sector of superblock A of the Nueva Andalucía urbanization was developed. 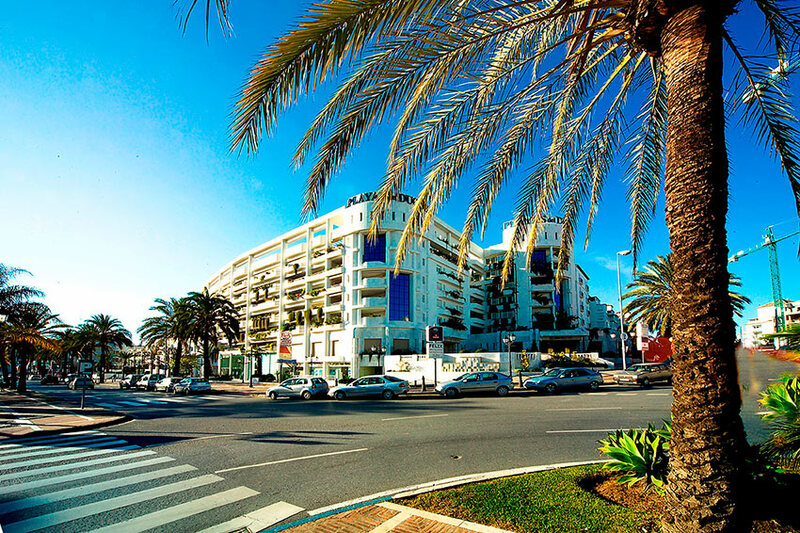 In conjunction with José Serrano Suñer, the Office developed the well-known Puerto Banus avenue through Granada, Córdoba, Sevilla and Málaga buildings. 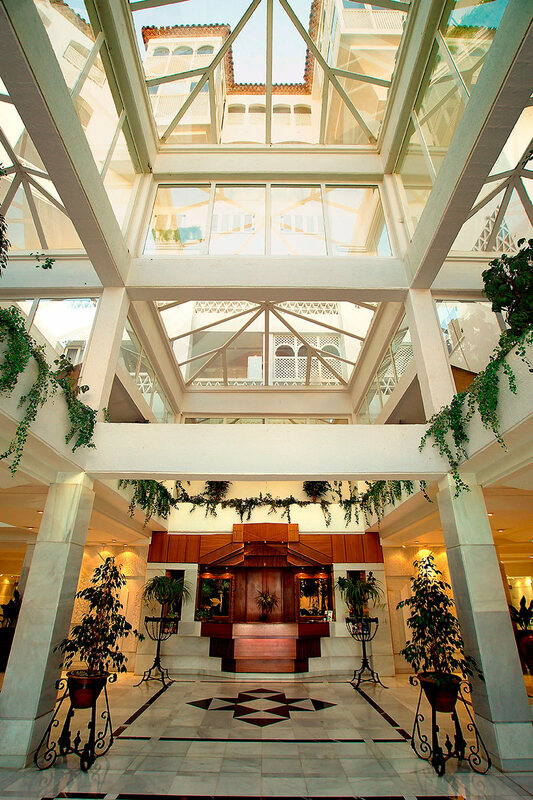 The linear design of this construction is enriched by the contrast created between the white rendered façades, the sloped roofs with old Arabian tiles, the use of rustic brick forming traditional designs in lattices and cornices, and the high-tech prefabricated finishes used for overhangs, arcades, gazebos and other elements.